Home/Celebrating Our Allies/Thank You, Janet Doucet! 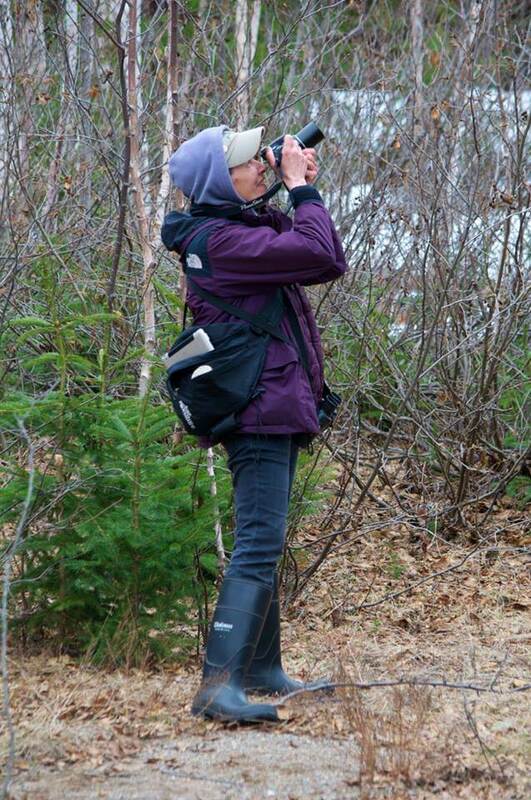 Nature interpreter, Daly Point Nature Reserve coordinator, Nature NB board member and just overall amazing person… Janet Doucet has made it her life’s mission to re-connect people to nature and has been a steward of our province’s environment for decades. From her childhood admiring nature, Doucet’s love for the environment only grew. She worked as a tutor in the educational system, and then came across a job posting in 2011 for a coordinator position at Bathurst’s Daly Point Nature Reserve. The reserve was established in 1989, but had been struggling for some years prior to Doucet’s arrival. As well, through partnerships and help from fellow resident Mike Haywood, Doucet was pivotal in starting Bathurst’s NatureKids Club, helping to plan exciting and educational activities like camping, hiking and canoeing at Daly Point and throughout the Bathurst community. Doucet also encourages New Brunswickers to spend more time outdoors and recommends that we should reach out to our local nature clubs and programs. She insists that we can all play a part in the conservation and protection of our natural heritage and also encourages all residents of our province, especially in Bathurst, to visit Daly Point and even get involved as a volunteer. 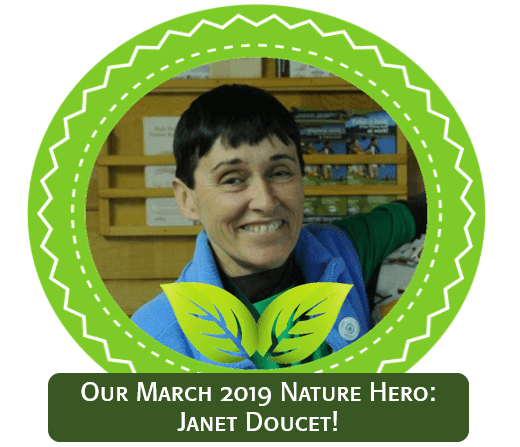 Nature NB would like to recognize Janet Doucet as April’s nature hero of the month for her inspirational work to connect people to nature and protect New Brunswick’s wilderness over many years. Thank you for all you do, Janet, and we cannot wait to see what else Daly Point, NatureKids Bathurst and your many other initiatives bring to the future! If you’re looking to follow Janet’s lead and connect with nature in your community, sign up for Nature NB’s e-news to hear about upcoming events to discover nature near you, or contact your local Nature Club or NatureKids Club to join a group of like-minded nature enthusiasts! Video: The Daly Point Nature Reserve, from the City of Bathurst!